Oh well, I'm still stoked about being on stage for the first time and getting some of the nerves out. It was fantastic seeing everyone and I had an absolute ball at this incredible event. sent to mick today, heckle him!! I'll be uploading some of the videos overnight. I'll have 'em all done this week sometime. As well as that there'll be two other videos. A general clipvid of the contest including things like Hefty acting the fool, Skip getting his mohawk etc, and a short video of mark, myself and brad doing some tricks at a few spots around Adelaide. is it going to be in broken hill in 2010? 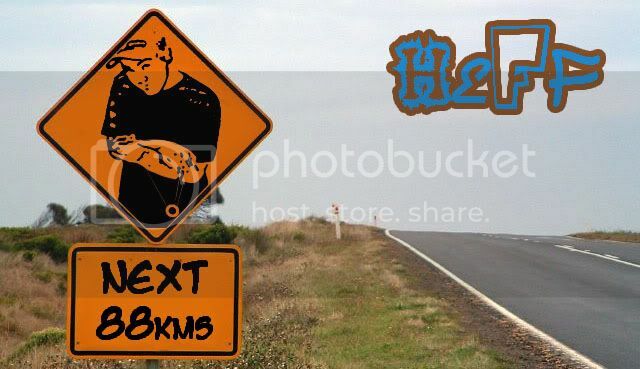 vooie wrote: is it going to be in broken hill in 2010? It's where I'm from, and where Heff was for a while. I doubt it'd happen, but then again it'd be awesome if it could. Outback Nats. Testercles wrote: I doubt it'd happen, but then again it'd be awesome if it could. Outback Nats. on topic: can we get the sports ladder results too? Anyone is welcome to compete. The prizes consist of yo-yos and accessories. All the cash money goes into holding the event. I can't give you specifics on this years prizes as I didn't win any, but in previous years everyone would get perhaps 5 or 6 yoyos, some string and whatever else was around. Kahli's trip wasn't covered this year. ANYC isn't much of a fund raiser at all, in previous years we lost money every time, and none of the sponsors were forthcoming with money. This may change however now that Stu's on the case, fingers crossed. I think you'd find people like Mickey and Yuuki would be somewhat respectful of the fact that they could take out our competition with their level of playing, and would accept the role of special guest.